Brought to you by The Blonde Abroad, TBA Escapes offers carefully designed, all-female, bespoke travel tours and educational retreats for the adventurous female traveler. We focus on creating life-changing and empowering experiences by connecting like-minded female travelers from around the world in some of the biggest bucket list destinations on Earth. TBA Escapes retreats and tours create a unique opportunity for women to travel in a small group to destinations that may not be as “easy” to explore on your own. Our all-inclusive, luxury tour style provides a stress-free environment where you can relax and soak in a new destination alongside local female guides and hosts. Kiersten, the founder of The Blonde Abroad, was named by Forbes as one of the Top 10 Travel Influencers and has been featured worldwide and recognized by major publications for her photography and entrepreneurial achievements in the female travel space. With travel experiences in over 70 countries around the world, she has had the opportunity to discover the best trips for women and is excited to share them with you! Discover the blue city of Chefchaouen, cook traditional food in Casablanca, experience local life in Fes and wind your way through the souks of Marrakech. 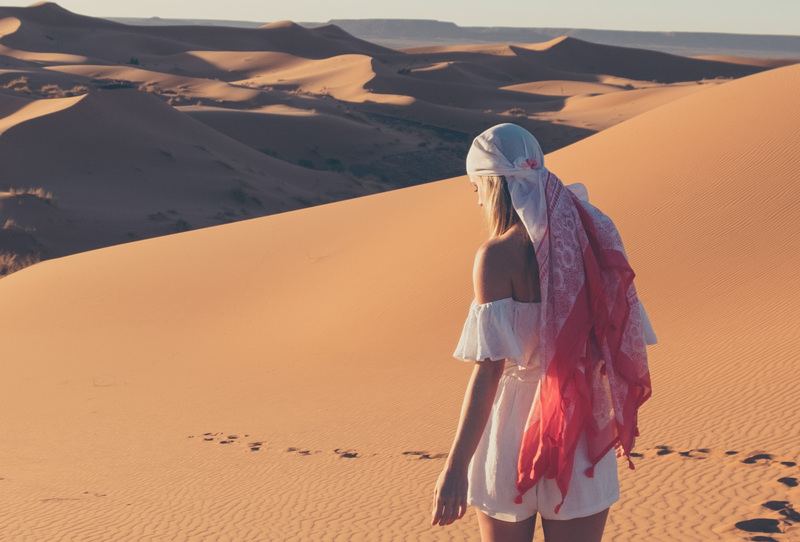 We’ve also organized an AMAZING optional 4-night adventure into the Sahara Desert for the ultimate luxury glamping experience! Join Kiersten, The Blonde Abroad, on a life-enriching, seven-night, all-female expedition around the Galapagos Islands! Explore one of the most pristine destinations on Earth from the comfort of a brand-new, carbon-neutral, luxury yacht. Join Kiersten, The Blonde Abroad, on a luxurious and action-packed photography tour of Jordan. We’ll take a deeper look at this diverse country — discovering Petra, one of the 7 Wonders of the World, diving in the Red Sea, floating in the Dead Sea, and exploring the deserts of Wadi Rum! Experience the best of South Africa from Cape Town to Safari to the Cape Winelands. We’ll be delving deep into the city of Cape Town, spotting the Big 5 on a luxury safari and sipping our way through the Stellenbosch Winelands.